Staging sells houses and I offer it FREE! See some of my Before and Afters. With over eight years real estate experience, the Tennessean prides herself in her ability to relate to clients with a personal approach and one-on-one customized service. Kim knows the business and it shows. Her hard work is apparent as a Certified Residential Specialist, an Accredited Buyer Representative, and an Accredited Staging Professional. With that, Day Shacklock sold thirteen million dollars worth of property so far in 2015 and is currently ranked as one of the top selling agents in 2015. She has worked with Alan Valentine, CEO of the Nashville Symphony and attributes her success to listening. "I try to listen to what buyers are looking for and not show them homes that aren’t right for them". To separate herself from the real estate masses, the accomplished agent also specializes in home staging. Home staging gives a house for sale the star quality needed in today's market. Even though the staging concept is a profession separate from real estate, Kim has ingeniously combined the two forces to assist sellers. As a Certified Staging Realtor, she prides herself in her ability to provide an in-house service that many realtors cannot offer. While the average home staging consult starts at $200.00, the creative entrepreneur contributes this service for free. She takes the time to explain the attributes of home staging and the market benefit. She then brings in accessories and even furniture to showcase their specific home and make it ready for the professional photographer, which she also provides. Staged homes are on the market 88% less than unstaged or unfurnished homes, and usually sell for 17% more. With a rooted history in Tennessee, Kim knows the heartbeat of the community. Her expertise ventures into several areas of the region to include Williamson County, every area of Nashville and the counties bordering it. The agent is able to locate a home for any client need. 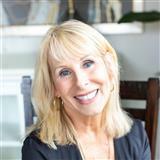 Her breath of experience includes listings for single family, condos, rentals, highrises, and luxury homes. Success begins with discipline and hard work. Through her accomplishments and high profile clients, Kim Day Shacklock shows that she is the best in the business. With over $60 million in sales, she clearly sets herself apart as a winning agent.